When you’re running a commercial drone company, you’ve got to get used to some pretty anti-social hours. 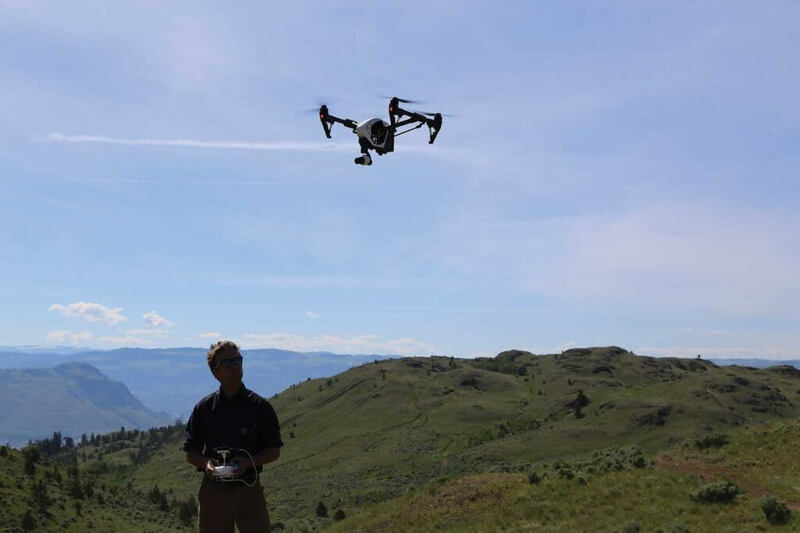 When Skies spoke to Robert Atwood, co-founder, president and CEO of Kamloops, B.C.-based Hummingbird Drones Inc. in mid-May, he’d been working pretty much round the clock over a busy weekend of flood mapping by day, and search and rescue (SAR) operations at night. And the work upon which Hummingbird has been built–wildfire operations–is almost entirely done at night. The drones provide a variety of services for those fighting wildfires, from finding hotspots through the use of infrared cameras, to creating daily fireline maps to aid the management of a fire. And when the sun rises, Hummingbird needs to have not only collected the data, but sorted through the mountains of information the drones will have collected and pulled the relevant needles from the haystack. “We’re usually delivering a product by about 6 o’clock in the morning, so time is of the essence; we really have to focus on creating efficiencies,” said Atwood. But it’s the sort of challenge the company relishes. 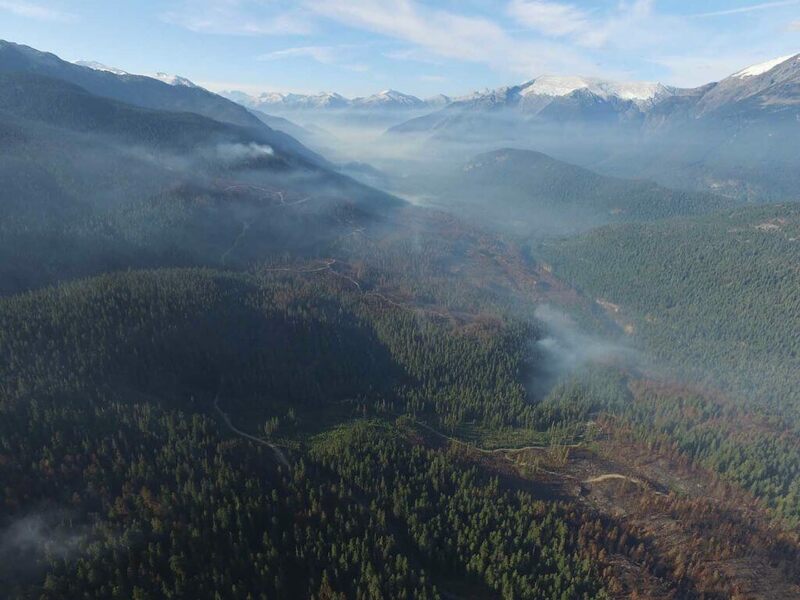 Despite only being in existence for three years, it has consistently broken new ground in the use of unmanned aerial vehicles (UAVs); it was the first UAV service provider to engage in wildfire suppression operations in Canada, and is part of pilot project to evaluate the use of UAVs in SAR operations. Hummingbird was founded in June 2014 by Atwood and Richard Sullivan (who now serves as the company’s CFO) while the two were still at university. 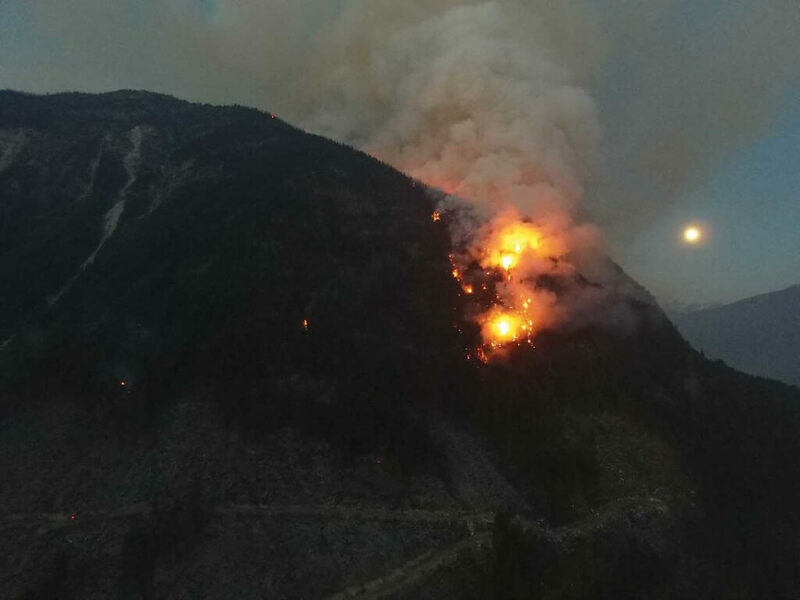 They spent their summers working as initial attack crewmembers for B.C.’s Wildfire Management branch, and it was during a return flight home after a wildfire deployment in northern B.C. that they came up with the idea of founding a drone company. Robert Atwood (left) and Richard Sullivan (right) decided to start their own company while flying back after fighting a wildfire in northern British Columbia in 2014. The two spent their spare time that summer exploring the possibilities with different drones. At the end of the summer, they returned to their studies at Thompson Rivers University in Kamloops, but they continued to develop their plans, working with the support of the university’s business incubator–known as the Generator. In a few short months, they were flying drones for the first time on fires. 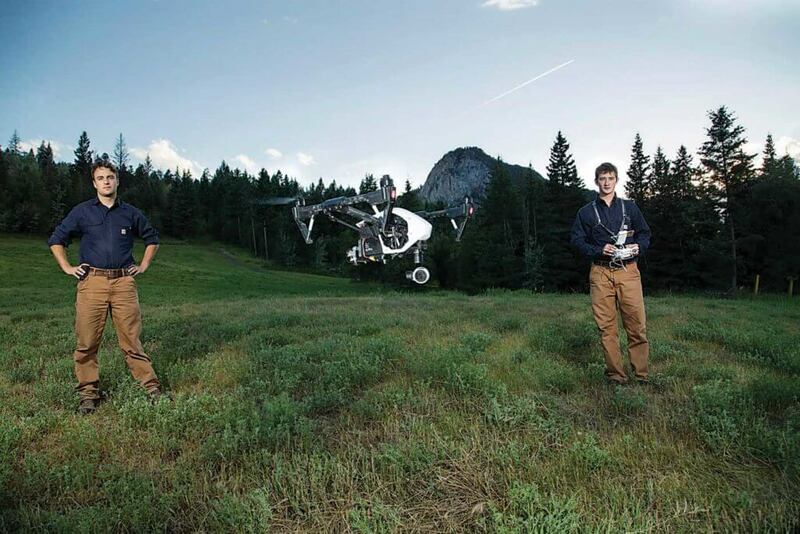 But that first flight wasn’t just a landmark for the two young entrepreneurs; it marked the first time in Canada that a UAV service provider had worked on a wildfire. And, while being a groundbreaker undoubtedly provides opportunities, it also presents its challenges–not least in the form of navigating a regulatory framework as it’s being built. Hummingbird prefers to fly its drones manually, rather than through the use of waypoints. In August 2014, Transport Canada released a document detailing the knowledge requirements for pilots of UAVs under 25 kilograms (55 pounds), and these form the basis for Hummingbird’s pilot training program. The requirements include knowledge of items including the Canadian Aviation Regulations, general operating and flight rules, navigation and meteorology. Once in the field, Transport Canada requires at least two people to operate a UAV–a pilot and a visual observer–and the UAV must be operated within line of sight. The company has several Special Flight Operations Certificates from the regulator to allow its various operations, with the most notable being that which allows it to fly over a fire at night. Today, Hummingbird has five employees, with three trained as pilots and two working on software development. Its fleet includes six drones, all produced by DJI: three Inspire 1s, two Matrice 100s, and a brand-new Matrice 200. All are quadcopters, with weights ranging from about six to almost 10 pounds. According to Atwood, they can spend about 15 to 20 minutes in the air before the battery needs to be recharged, and can self-stabilize in winds up to 19 miles per hour (30 kilometres per hour). Typically, the company will take just one or two on any given job, with just one running at time. Hummingbird currently has five employees, including three pilots and two software developers. With the hardware Hummingbird uses–from the drones themselves to the mounts, gimbals and cameras–now available off-the-shelf, the company concentrates its development efforts on the software side of the operation. Through Atwood and Sullivan’s connections at the university, they’ve had access to a pool of software development talent to create programs customized to their services, allowing them to quickly sort through the enormous amounts of data the drones collect during each flight. The push to focus on software development came when they first started to find there was a disconnect between being able to capture infrared imagery with a drone, to turning that into a usable and effective product for fire operations, said Atwood. “What we developed is this program that parses through the infrared datasets–it separates false positives and real heat, provides coordinate information or geospatial information for each one of those hotspots, and then it outputs them in a shp and kmz format,” he said. 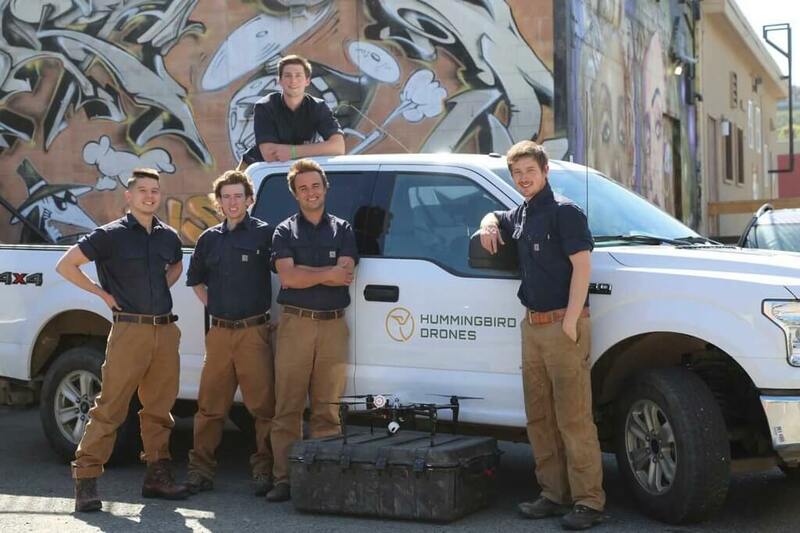 Hummingbird’s work has already taken it to the four corners of British Columbia (with the exception of Vancouver Island), and the breadth of its operations continues to expand. Since the fall, it has been part of a pilot project overseen by Emergency Management B.C. to evaluate the use of UAVs in SAR. Wildfire operations comprise the majority of Hummingbird’s work, but it is branching out into areas such as search and rescue and flood mapping. He said a drone doesn’t replace the need for a helicopter; instead, it enables searchers to explore areas, such as steep canyons or gorges, that a helicopter would be unable to reach, or go out in conditions that would ground a helicopter. Another recent expansion has been into the realm of flood mapping, where the drone can fly over a flooded area to provide maps for incident management teams to assess and use for planning decisions, or to assess the damage caused. Hummingbird received early validation of its work with a nomination for Atwood as Young Entrepreneur of the Year from Startup Canada in 2015 (he was named winner in the B.C. and the North region). Driven by enthusiastic and energetic pioneer companies like Hummingbird, the drone industry has come a long way in just a few short years. And for a young company in a young industry, it’s a very exciting time. I’m very interested in getting to know more a your programs and would be interested in taking your drone pilot training. As a drone enthusiast and owner, I’m very impressed with the scope of your use of drones and hope to be involved in the creation of a fire prevention program for the Northwestern Ontario area which tends to be particularly vulnerable during dry years. Hope to hear from you soon. Happy holidays!